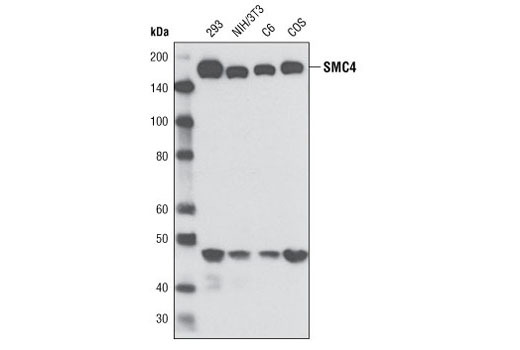 Background: The structural maintenance of chromosomes 2 (SMC2) and 4 (SMC4) proteins are condensin complex subunits that enable chromosome condensation and compaction during migration to opposite poles during anaphase (1,2). 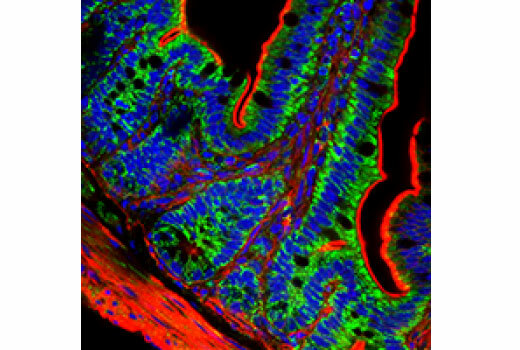 Condensin is a general regulator of chromosome architecture that may also regulate gene expression and DNA repair. 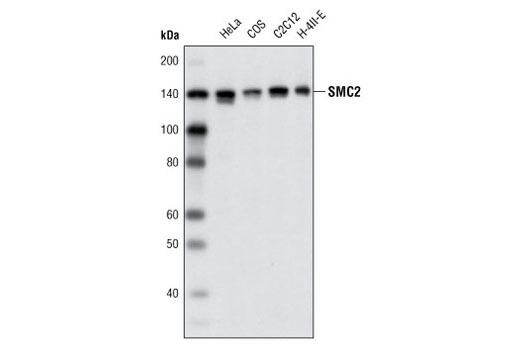 Condensin complex subunits SMC2 and SMC4 form a functional ATPase essential for chromatin condensation, while three auxiliary subunits regulate ATPase activity. 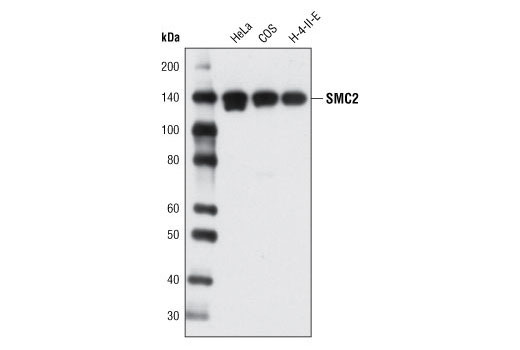 Both SMC2 and SMC4 are found within two distinct condensin complexes (condensin I and II) in higher eukaryotes. 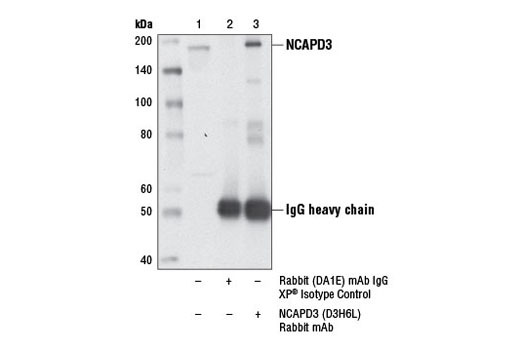 Condensin I contains auxiliary subunits NCAPD2, NCAPG, and NCAPH, while condensin II contains related auxiliary proteins NCAPD3, NCAPG2, and NCAPH2 (1,2).Each condensin complex exhibits different localization patterns during the cell cycle and provides for distinct functions during mitosis (3-5). 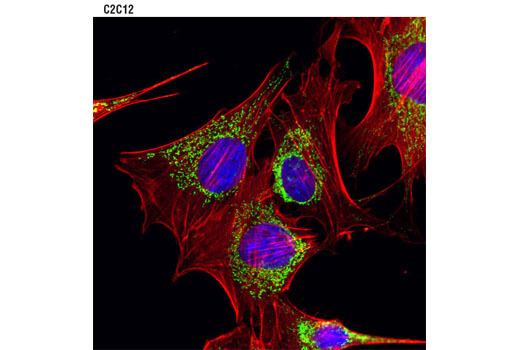 Condensin I is cytoplasmic during interphase and binds chromatin following the breakdown of the nuclear envelope at the end of prophase. 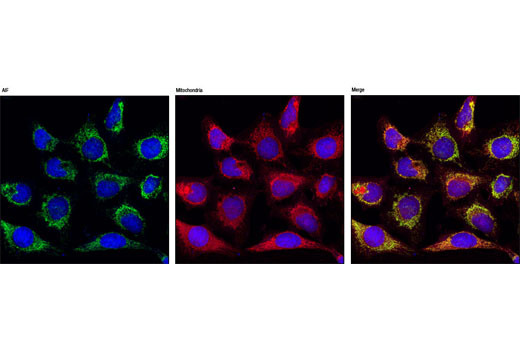 Condensin I is required for complete dissociation of cohesin from chromosome arms, for chromosome shortening, and for normal timing of progression through pro-metaphase and metaphase. 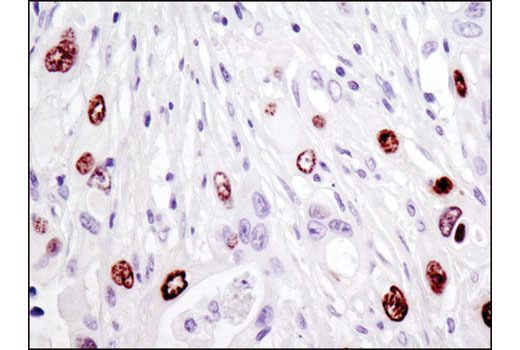 Mutations in corresponding condensin I genes result in cytokinesis defects due to the persistence of anaphase fibers. 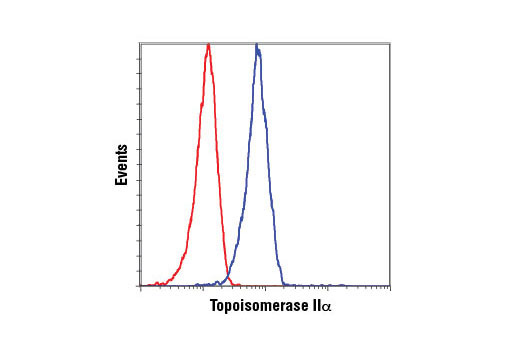 Condensin II is nuclear during interphase, but does not bind to chromatin until early prophase where it remains bound until the end of telophase. Condensin II is required for initial chromatin condensation during early prophase. Mutations in corresponding condensin II genes produce high numbers of anaphase bridges resulting from incomplete chromosome segregation. 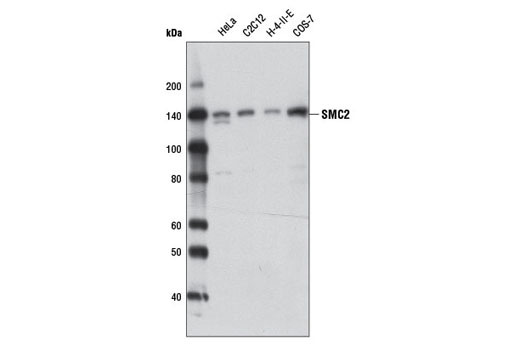 Condensin II complex subunit D3 (NCAPD3) plays a pivotal role in the loading of condensin II onto chromatin and the regulation of chromatin condensation (6,7). 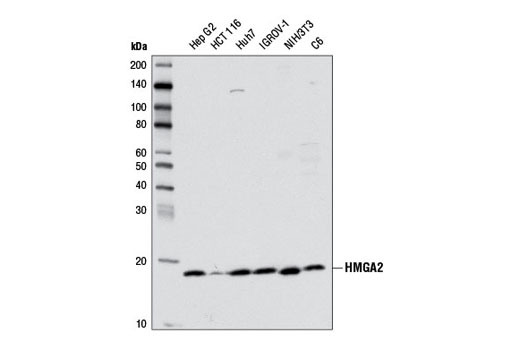 NCAPD3 protein contains HEAT repeat clusters that bind to mono-methyl histone H4 Lys20, a histone mark prevalent during mitosis and important for DNA repair and chromatin condensation (6). 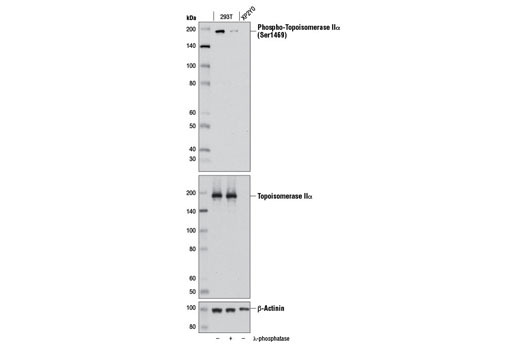 Increased mono-methyl histone H4 Lys20 levels caused by dissociation of the histone demethylase PHF8 from chromatin and increased expression of the methyltransferase SET8, leads to increased binding of NCAPD3 and condensin II to chromosomes early in mitosis (6). 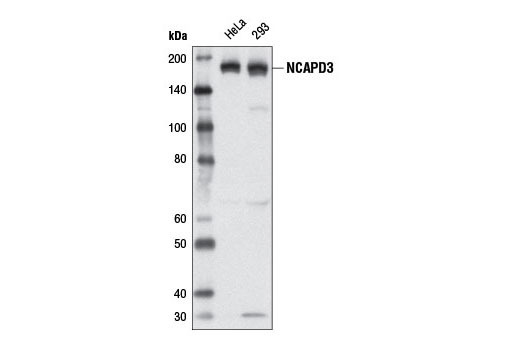 Phosphorylation of NCAPD3 at Thr1415 by CDK1 kinase (cdc2) leads to the recruitment of PLK1 kinase, which hyperphosphorylates condensin II and facilitates mitotic chromosome assembly (7). 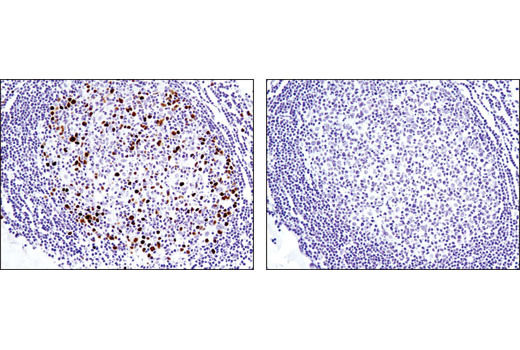 Background: Apoptosis-inducing factor (AIF, PDCD8) is a ubiquitously expressed flavoprotein that plays a critical role in caspase-independent apoptosis (reviewed in 1,2). 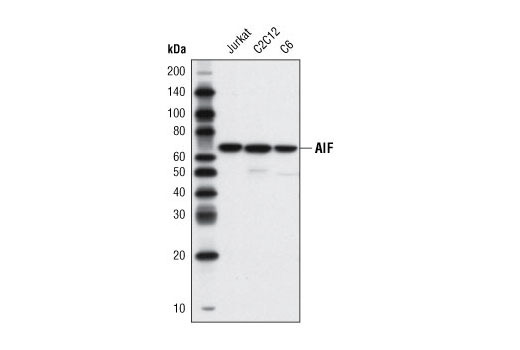 AIF is normally localized to the mitochondrial intermembrane space and released in response to apoptotic stimuli (3). 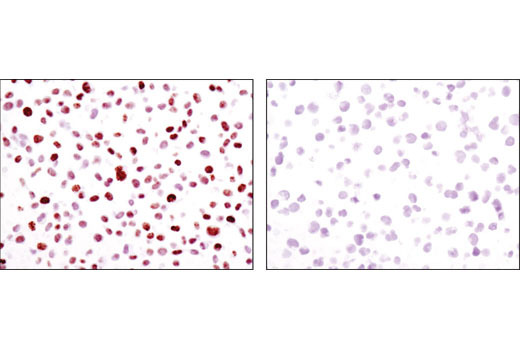 Treatment of isolated nuclei with recombinant AIF leads to early apoptotic events, such as chromatin condensation and large-scale DNA fragmentation (3). 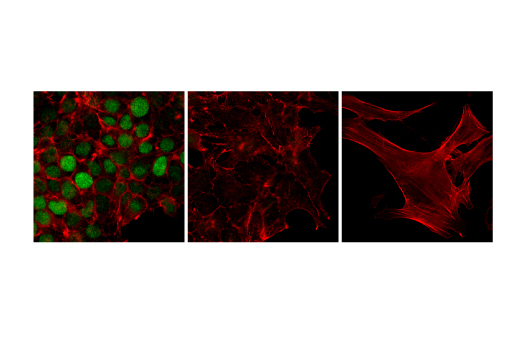 Studies of AIF knockout mice have shown that the apoptotic activity of AIF is cell type and stimuli-dependent. 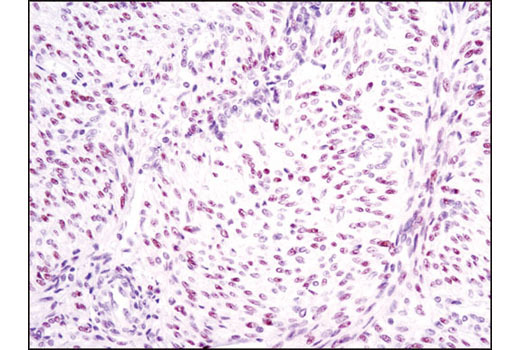 Also noted was that AIF was required for embryoid body cavitation, representing the first wave of programmed cell death during embryonic morphogenesis (4). 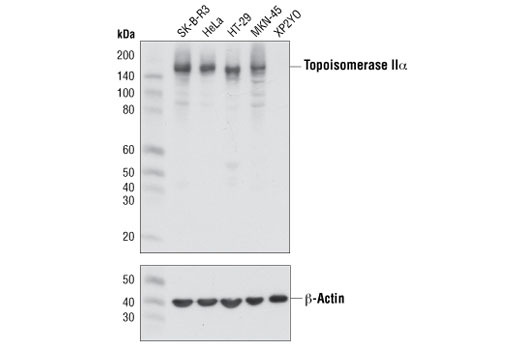 Structural analysis of AIF revealed two important regions, the first having oxidoreductase activity and the second being a potential DNA binding domain (3,5). 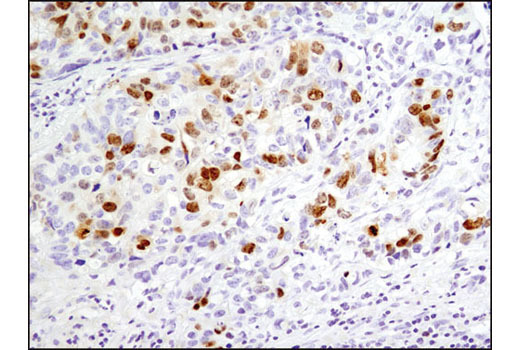 While AIF is redox-active and can behave as an NADH oxidase, this activity is not required for inducing apoptosis (6). 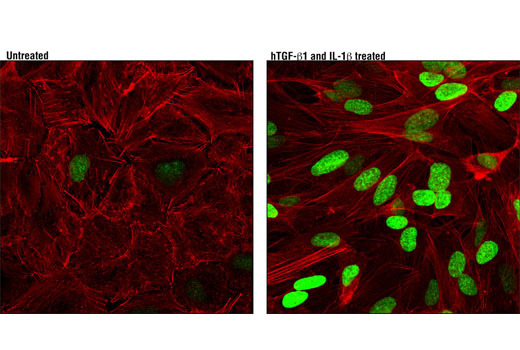 Instead, recent studies suggest that AIF has dual functions, a pro-apoptotic activity in the nucleus via its DNA binding and an anti-apoptotic activity via the scavenging of free radicals through its oxidoreductase activity (2,7). 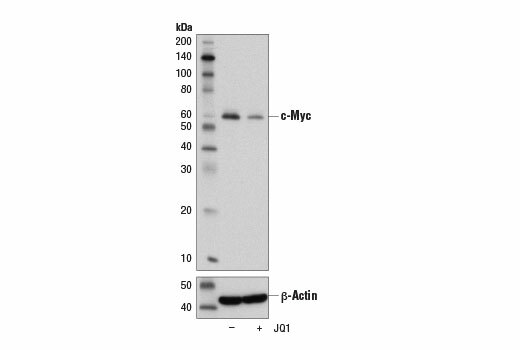 Background: Members of the Myc/Max/Mad network function as transcriptional regulators with roles in various aspects of cell behavior including proliferation, differentiation and apoptosis (1). These proteins share a common basic-helix-loop-helix leucine zipper (bHLH-ZIP) motif required for dimerization and DNA-binding. 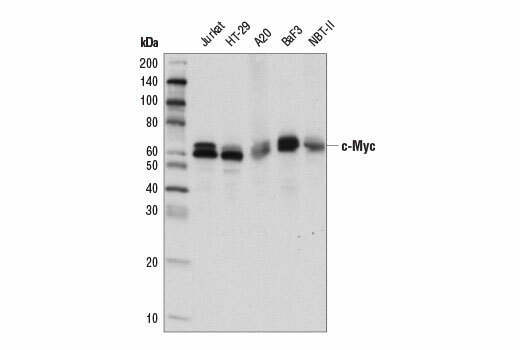 Max was originally discovered based on its ability to associate with c-Myc and found to be required for the ability of Myc to bind DNA and activate transcription (2). 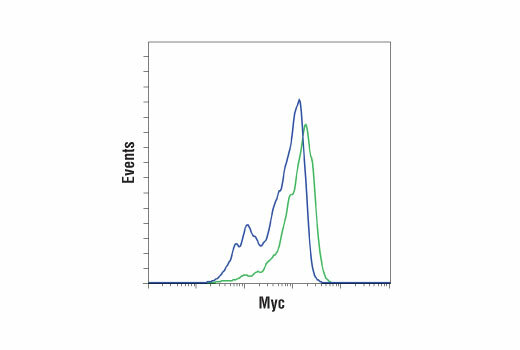 Subsequently, Max has been viewed as a central component of the transcriptional network, forming homodimers as well as heterodimers with other members of the Myc and Mad families (1). 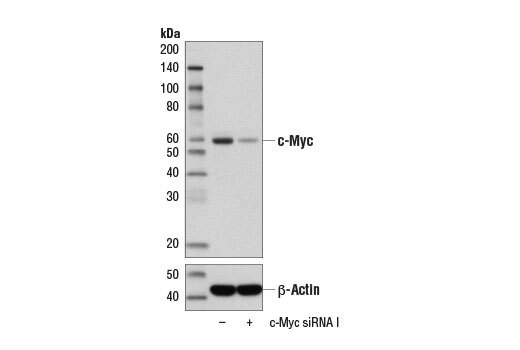 The association between Max and either Myc or Mad can have opposing effects on transcriptional regulation and cell behavior (1). 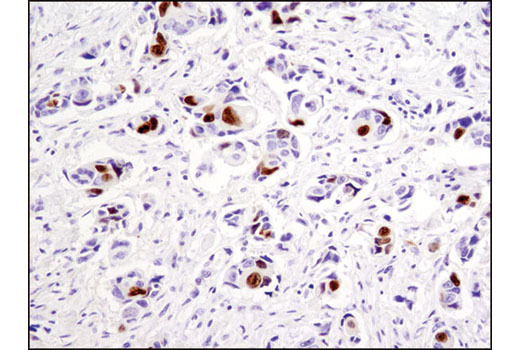 The Mad family consists of four related proteins; Mad1, Mad2 (Mxi1), Mad3 and Mad4, and the more distantly related members of the bHLH-ZIP family, Mnt and Mga. 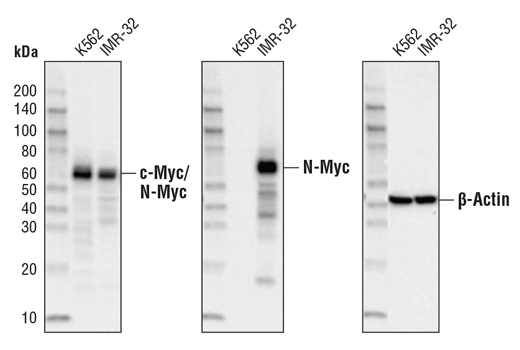 Like Myc, the Mad proteins are tightly regulated with short half-lives. 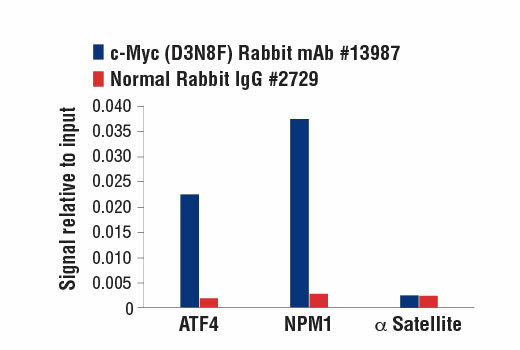 In general, Mad family members interfere with Myc-mediated processes such as proliferation, transformation and prevention of apoptosis by inhibiting transcription (3,4).